For a variety of reasons, some small businesses permanently close their doors. Closing a company may be a difficult decision to make, and it can become even more challenging when a business owner doesn't take the proper steps. Exiting a business involves more than just ceasing to advertise and ending sales of products and services. It also requires filing paperwork to officially dissolve your business with the state and taking care of other formalities. Failing to take care of those details could mean being on the hook for fees (and possibly fines) even when a business isn’t serving its customers anymore. Companies operating as an LLC or corporation must legally dissolve that business structure so that the state knows it’s no longer in operation. This involves filing Articles of Dissolution with the Secretary of State office. Businesses with multiple owners will need to first hold a meeting with their business partners or Board of Directors to get a consensus vote on closing the business. Note that states rules may vary slightly, so it's important to research what you need to do in the state where your business is registered. As you pay suppliers and vendors what you owe them before you close your business, you'll want to reach out to customers that owe you money. If you're having difficulty collecting, one option to ensure you get some of what's owed is to sell your accounts receivable to a factor. A factor will compensate you for a portion of the money that's owed you, and then they assume ownership (and the task of collecting the money) of the receivables. Selling your business assets and inventory can also generate cash for you before you close your company. Some ways to handle this are using sites like Craigslist or eBay, holding an auction, and personally reaching out to other business owners who might need what you're selling. Take care of outstanding bills from vendors and service providers to close out your accounts payable. If you’re unable to pay what you owe, discuss your options with an attorney. If you have employees, after you have paid them their final wages and salaries, submit your payroll forms as usual and pay your final payroll taxes. 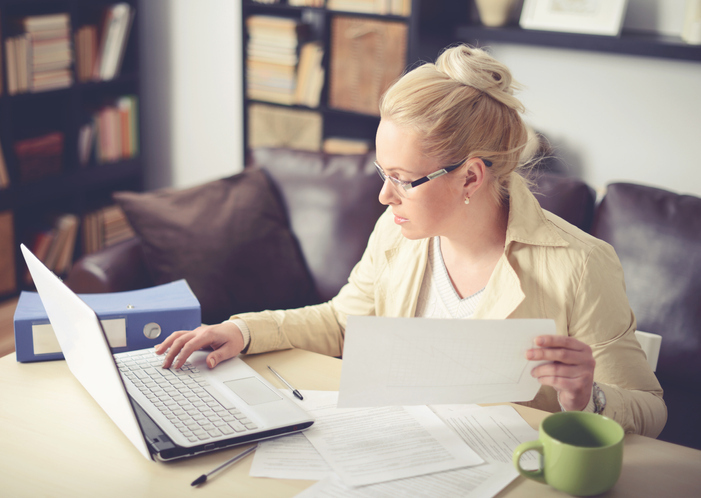 What if you’re unable to pay what you owe in payroll taxes? Filing an “Offer in Compromise” (IRS Form 656) might enable you to reduce the amount that you owe. Another option to consider is agreeing to pay your tax due in installments. Also, submit your final state sales tax forms with the tax you’ve collected from your customers. Then, find out what your state tax agency requires you to do to officially close out your tax account. LLCs and corporations must check the “final return” box when filing their income tax forms. Corporations also need to report shareholder allocations (and losses) on Schedule K-1. Businesses that close must also close their Employer Identification Number account with the IRS. If you’ve needed business licenses and permits from the federal, state, county, or local governments, notify them that your company has closed. That way, you won’t be charged renewal fees or be on the hook for taxes after you’re no longer doing business. Businesses that have multiple owners and money or assets left over after paying all debts should distribute them among partners or shareholders. LLCs will divide assets according to each partner’s share of the business. Corporations will allocate assets according to the shares owned by each shareholder. Don’t Miss a Thing – Get Help! As you can see, closing a business comes with many responsibilities. To make sure you cover all the bases as you work through the process, I recommend reaching out to legal and accounting professionals who can provide expert guidance. Also, you might find that an online business document filing service will make submitting your dissolution paperwork and canceling licenses and permits less daunting. And, last but not least, your SCORE mentor will also be a helpful resource for insight, feedback, and encouragement.